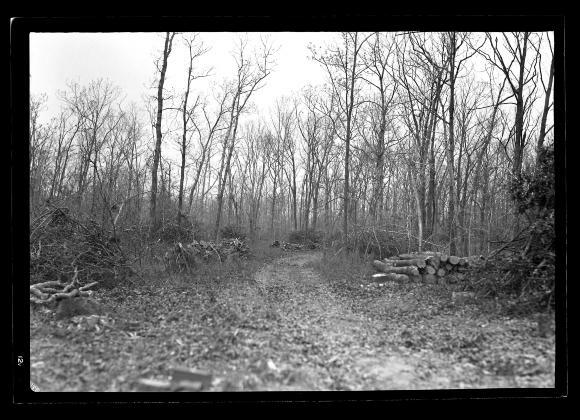 View of efforts at forest fire hazard reduction on the Taylor Estate at North Haven in Southampton, Suffolk County on Long Island. Brush has been cleared out and placed in piles. The date is unrecorded, but may be May 11, 1939 based on the dates of similar images. This image was created to record the forest fire control activities of the New York State Conservation Department. Source: New York State Archives, New York (State). Conservation Dept. Photographic prints and negatives, [ca. 1904-1949], 14297-87, SARA No. 1806.